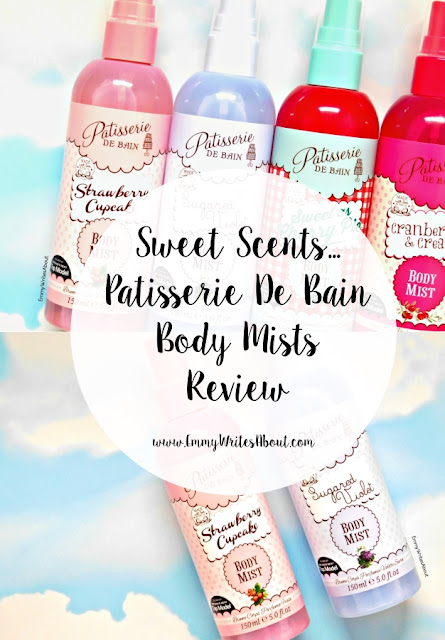 Are you a fan of a sweet scent? Want something to remind you of your childhood? 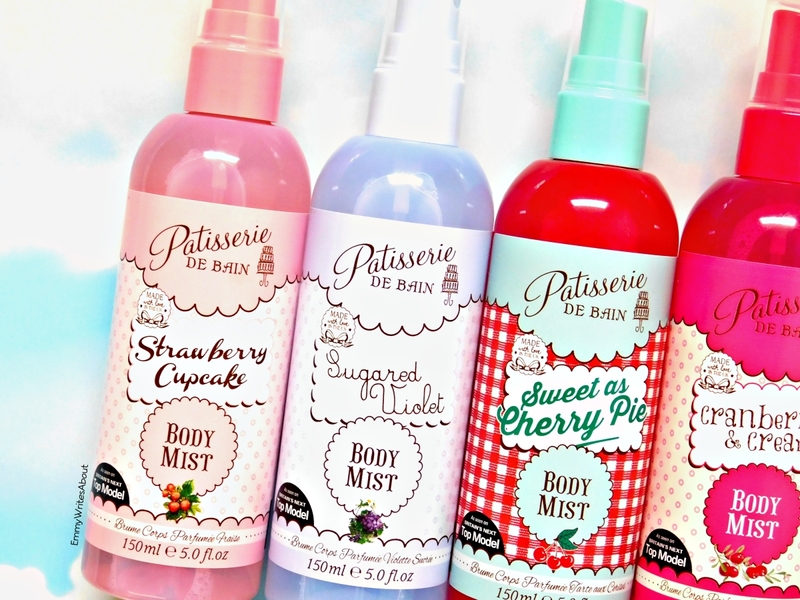 Patisserie De Bain have the perfect range of body mists for you! I love a sweet scent, I have a sweet tooth so these sprays are perfect. There are four in the range and they all have completley different scents that remind me of different parts of my childhood. My two favourite shades have to be Strawberry Cupcake and Sugared Violet. The Sugared Violet one smells exactly like Palma Violet Sweets! They were sweets for the 90s kids. This scent I could literally just walk about spraying it all day, I am beyond obsessed. 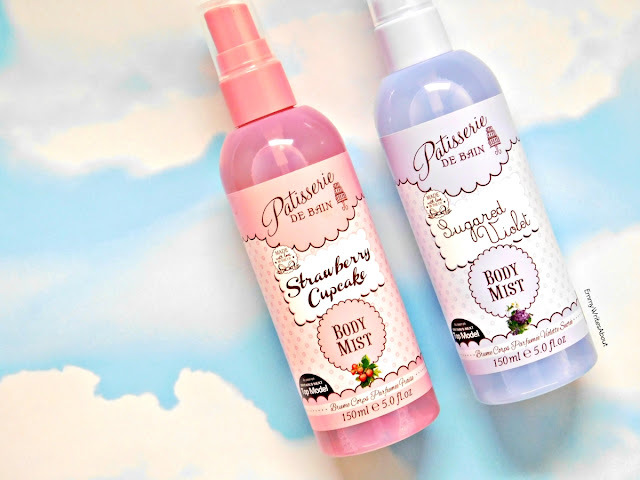 The Strawberry Cupcake one has a light subtle scent which is like a mix of strawberry and vanilla. I keep the Sugared Violet one in my handbag and the Strawberry Cupcake one on my dressing table. The other two scents are sweeter than the other two and a little stronger. The cherry one is lovely! Most 90s kids will remember there was a doll and it came with a spoon that had cherries on and they actually smelt of cherries and really sweet... This is what this spray smells like. The Cranberries & Cream one does have quite a creamy scent, I have given this one to a friend as I will use the other three more. So you can see why these scents remind me of my childhood plus they smell incredible. They only retail for £6.99 for 150ml and you can buy them from Superdrug or Rose & CO Online. Like Me?.. Why Not Pin Me..